Sophia Grace of 'Ellen' Fame to Star in 'Into The Woods', So What Will Happen to Rosie? Sophia Grace, 10, will join Meryl Streep, Johnny Depp, Anna Kendrick and more in the Rob Marshall-directed musical, set to be released December 2014. It's assumed that as Little Red, Grace will get to showcase the pipes that made her an Ellen favorite and a Youtube sensation. The part will most likely be only the first in a series of high-profile roles for Sophia Grace, whose reliably hilarious appearances on Ellen and awards shows (DeGeneres often sent the girls to interview celebrities on the red carpet) have proven that she's capable of keeping an audience entertained. Yet, as happy as we are for her, there's one big question hanging over our heads — what will happen to Rosie?? As fans of Ellen know, 7-year-old Rosie is the quiet half of the duo. She's the hype girl and is there mostly to provide moral support for her cousin, dancing and lip-syncing to the songs that Sophia Grace belts out with ease. Yet she always looks like she's enjoying herself, hosting tea parties and running around Disneyland with just as much excitement as her cousin. And when viewers watch the two girls perform, we're not just drawn to Sophia Grace's charisma; we love seeing adorable Rosie clap along, attempting to sing the words she remembers and looking thrilled to be there. It's sweet, seeing the two girls support each other on stage, both of them so obviously overjoyed with their new, celebrity-filled, tutu-wearing lives. Besides, without Rosie, Sophia Grace would be funny and charming, yes, but eventually, she'd probably get on our nerves. Having her quieter, younger cousin there creates a very necessary balance. 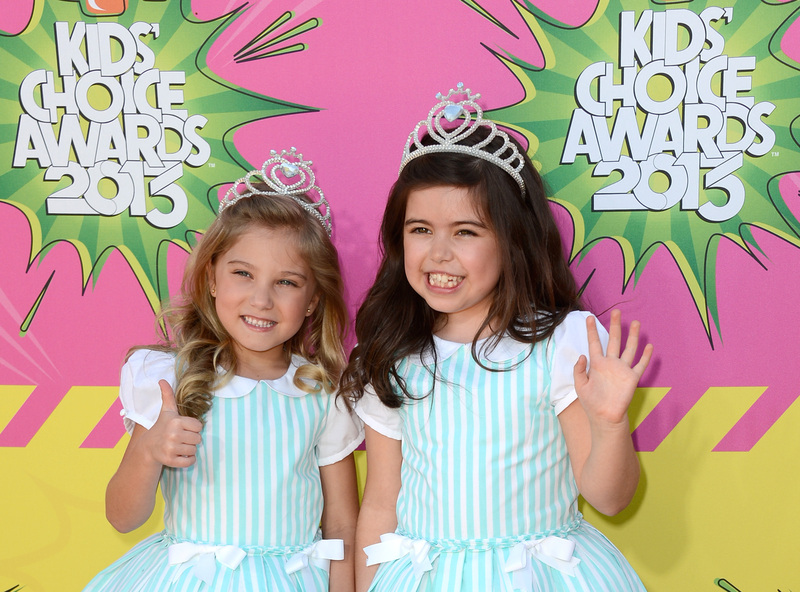 So if Sophia Grace soars to Hollywood fame, we hope that something good comes Rosie's way. We'd hate to see Sophia Grace be the only one of the girls to hold the public's attention in the years to come, because Rosie deserves her chance in the spotlight, too. Maybe there's a minor, non-speaking role in Into the Woods for her to play? Rob Marshall, get thinking — we're counting on you to make sure our favorite pint-sized rappers don't leave each other's sides.